Airtel has numerous tariff plans, each having distinctive features and benefits, all to suit the various needs of their customers. Airtel’s has smartTRYBE, SmartConnect, SmartPremier, SmartValue and SmartTalk tariff plans and from the research and survey we’ve done, the cheapest Bundle that offers you balanced and cheap benefits. 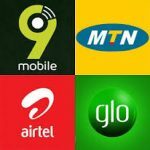 The Plan is the “smartTRYBE” bundle that comes with huge benefits at a very cheap price, it is aimed at keeping you connected through internet and voice with cheap phone calls (Local and International Calls), data and so many more. Why Should You Go For Airtel SmartTRYBE? 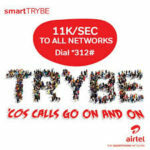 Airtel SmartTRYBE call rates is at 11k/s to all networks and with the 1st 50 secs charged at 20k/s, meaning from 51 secs upward, you are charged at 11k/s. 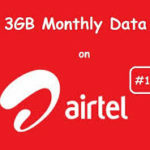 How Does It Fair With Other Airtel Tariff? Most of Airtel’s other Tariff offer calls at 11k/s, which is the minimum call rate for any Airtel Tariff, but at 40k/s for the 1st 60secs or at a flat rate of 15k/s, while some is a daily access fee of N5. For SmartTRYBE you’ll be billed at 20k/s for just the 1st 50 secs, which is cheaper and more reasonable than other tariff plans. SmartTRYBE International call rates are charged at 20k/s to Uk/US/China/India/Canada. Although, other tariff international call rates are charged at 11k/s or 15k/s, this is also after you must have paid a N5 daily access fee or 40k/s for your first minute per day. Some tarrif do not even consider the 1st minute you must have been charged at 40k/s to local networks for that of international calls, international calls 1st 60mins would be charged at 40k/s separately, before you enjoy the 11k/s for your subsequent international calls minutes for that day. The smartTRYBE offers you data at cheap prices and larger volumes, only exclusive to the tariff. 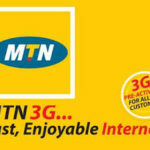 N25 for 500 mb (Night plan between 12am to 5am). Once you load a N200 recharge card on your phone, SmartTRYBE tariff gives you 15mb worth of data valid for a week. The 1st recharge of N100 will give you 5MB and the 2nd N100 recharge within that week will give 10MB to make up the expected 15MB in one week. 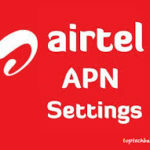 The smartTRYBE tariff is no doubt the cheapest and most beneficial Airtel Tariff.